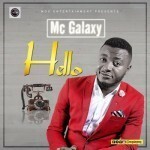 The visuals for MC Galaxy’s “Your Love” is finally out! In celebration of the season of love and romance, MC Galaxy showers love attention on his beautiful bride, played by popular nollywood actress, Belinda Effah. Shot by Clarence Peters in Lagos, the visuals represent the new MC Galaxy brand direction. Clean, colourful, and exciting. 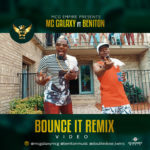 “Your Love” is MC Galaxy’s first single of the year and this video is a re-introduction of the King of New Dance in Africa. The MC Galaxy Brand and Music is now being managed my Godwin Tom’s IMANAGE AFRICA Agency!